I made this little “Toil and Trouble” house a few weeks ago…seemed suitable to post it with October in full force. I received the house unfinished from Marilyn Rock and had fun filling with with spooky items. The poison bottles are from friend Carol Berger’s shop What Remains and various ephemera and images were added. 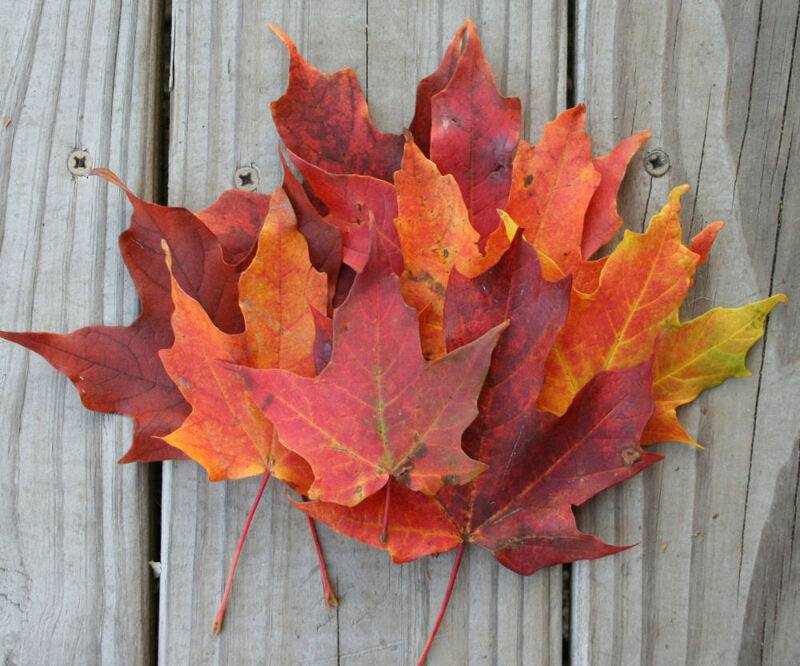 Hope you are enjoying your autumn! Happy Friday! This is such a fun project,Nancy….love those little boys with their hats on! What a delightful piece of altered art, most enjoyable. Oh Nancy, this is darn cute. I have eyed a similar house shape (actually used to hang keys on at the dollar store) I may have to go back and get one to make something. I am always inspired when I come here. Love your tree, the leaves are beautiful now but the rain is going to take it’s toll on them here in Ontario for the next few days. Fall is so short and winter so long. Beautiful Halloween creation..love the little boys. Absolutely stunning design. Love them. What an adorable spooky house Nancy! Have a great weekend. Oh, my goodness, Nancy! 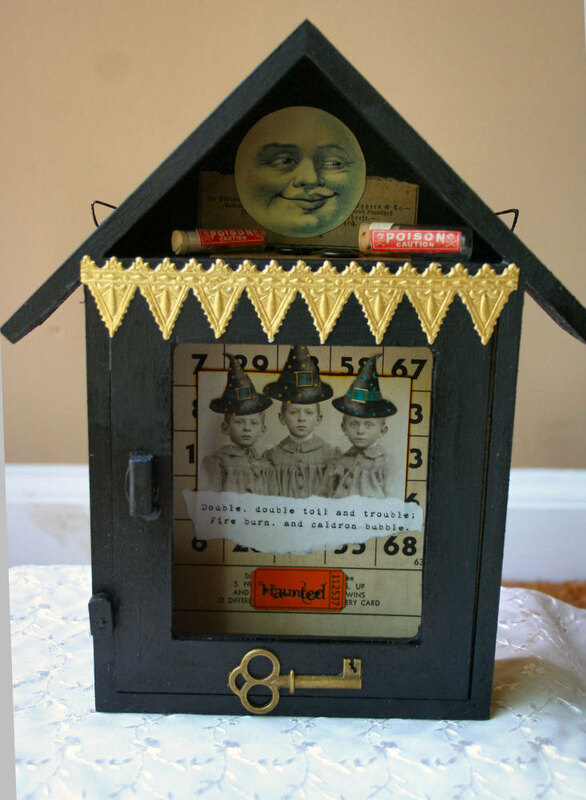 I love this “spooky” house you’ve made–absolutely adorable–love every little bit of it! 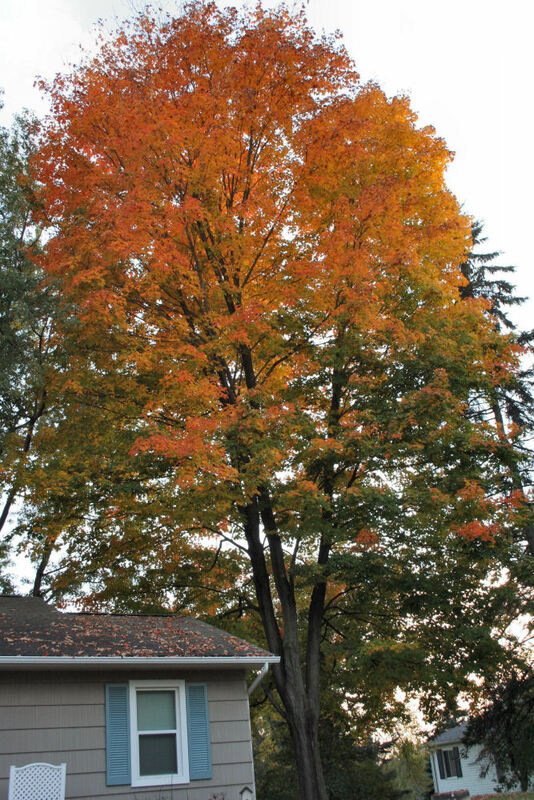 And…I’m SO jealous of your gorgeous maple tree! One of my favorites, too–so beautiful! Your leaves and tree are so beautiful– I don`t have such a wonderful sight,here.